Nine year-old Florin is a thirsty vampire. The reason? Most of his blood has been sucked out by his friend, Nicu. Florin rampages through the town of Biertan, drinking as much blood as he can. 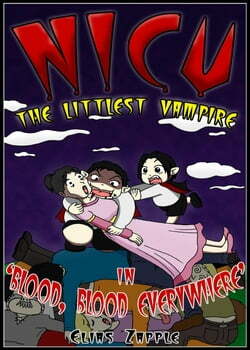 Soon everyone in Biertan is low on blood, and seeking revenge on all vampires.... read more Nicu faces a big challenge. Keeping Florin in check and stopping the angry townspeople from killing vampires.